Schemmer's Doug Holle, Paula Latham, Dawn Kirchert, David Watson and Michelle Westphalen attended WELLCOM's 2018 Excellence in Worksite Wellness Awards Luncheon. 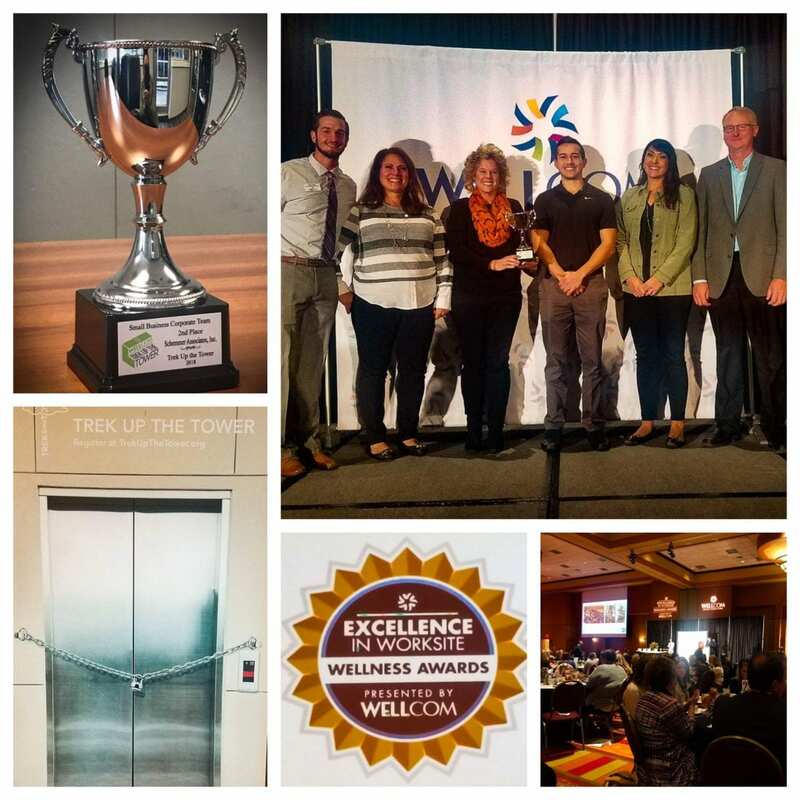 At the luncheon, Omaha businesses received recognition for their wellness efforts, as well as the Corporate Team Awards for the 2018 Trek Up the Tower. Schemmer's Principal and Employee Engagement Chairperson, Doug Holle, accepted the 2nd place trophy in the Small Business Corporate Team Category on the Company's behalf. Corporate Team Awards were given to the team with the best average time of their top four co-ed finishers. There were 15 teams that participated in the small business category. Congratulations to Schemmer’s team: David Watson, Dawn Kirchert, Josh Murphy and Michelle Westphalen. Trek Up the Tower is the region’s leading vertical stair climb. More than 1,600 participants climbed 870 steps of the First National Tower. The community event is sponsored by WELLCOM who raises money to support their mission of elevating worksite wellness programs.